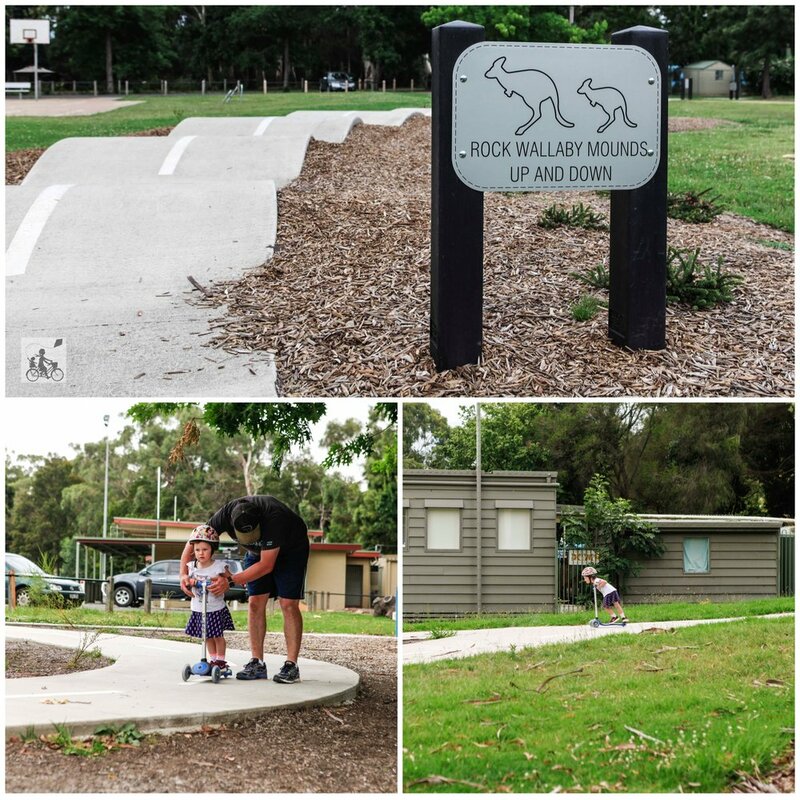 There is a little hidden but AMAZING and safe place to take the bikes, scooters and trikes and let the kids do laps. 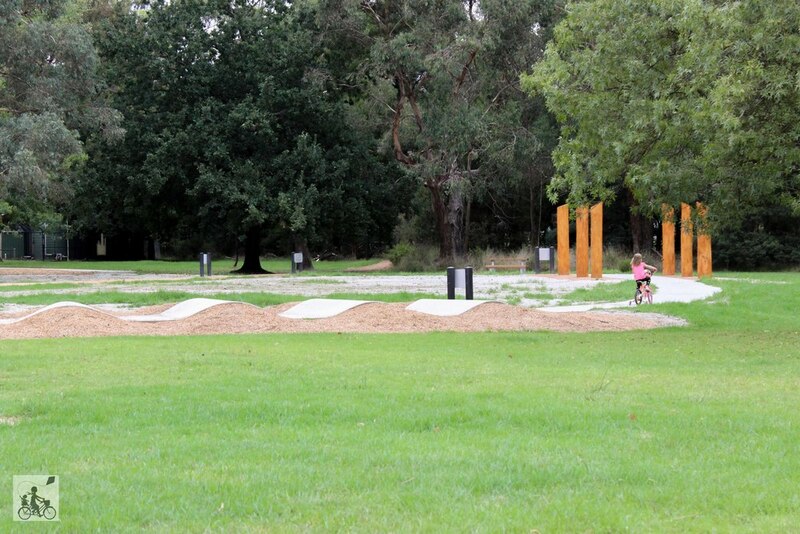 Roll Play is all set up at Queens Park in Healesville and is a perfect spot to learn to ride. The interweaving tracks are sealed and include wide sweeping bends, a hills section and lots of animal tracks to follow. 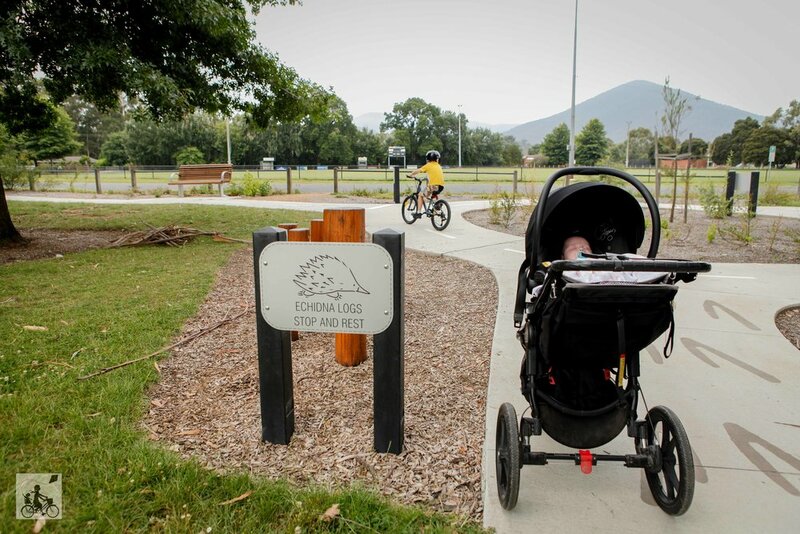 Our little native buddies are the theme of the playspace and the signs along the track hint help teach little ones about bike safety, making sure you give way to kangaroos, watch out for wombats and slow down for snakes. 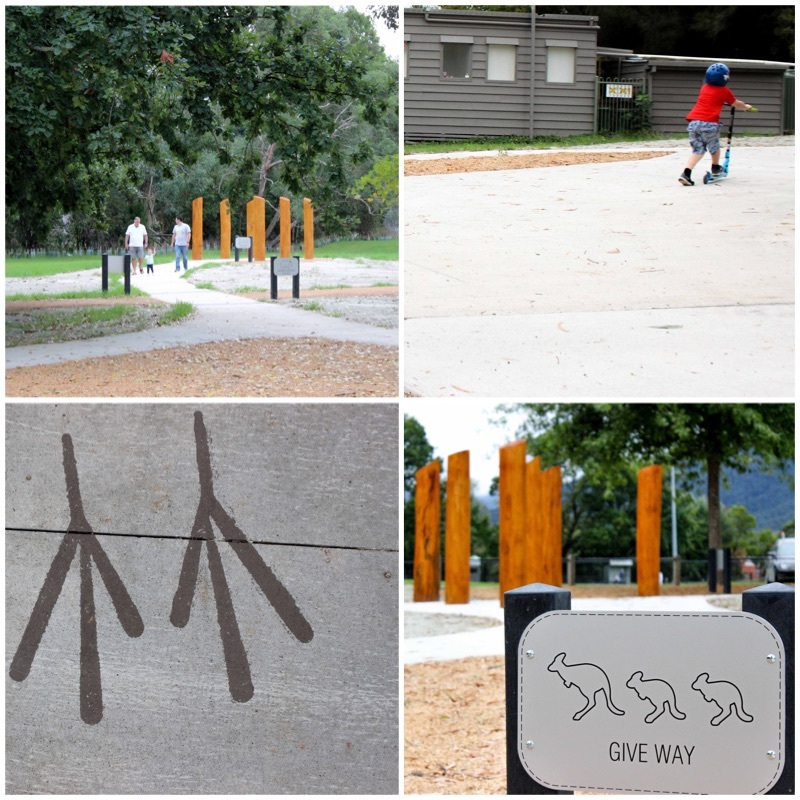 There are some great little places to play along the tree stumps or have a rest along the way at the bowerbird houses. 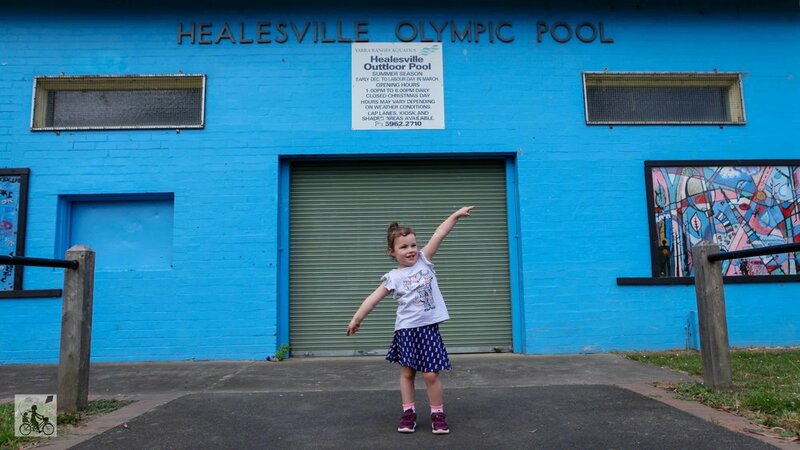 Mamma's special mention: The track is right within Queens Park so be sure to have a play in the playground before you head home, or have a dip in the outdoor pool over summer. Or grab a coffee and a golden babycino at Cherry Tree Cafe just up the road.